The Chinese Style Lamp has many light sources, it is graceful and graceful, with high illumination and good landscape effect. It is one of the traditional representative series.Chimney for the acrylic cover PC or import PNNA organic material, base for aluminum or iron commonly, light pole is commonly rolled Q235 steel, fasteners, bolts, nuts for stainless steel (naked). Light pole after molding, hot dip galvanized anti-corrosion treatment, both inside and outside the galvanized process after washing, phosphating, pickling, galvanized, passivation process, the surface is bright and clean, no color difference, and the coating uniformity is good, strong anticorrosion performance requirements.After galvanized treatment, spray plastic, ensure the color, hardness, adhesion of plastic layer and other technical performance requirements. Light source: high-wattage energy-saving lamp or high-voltage sodium lamp, metal halide lamp, large Angle, wide range, strong mist permeability, even illumination. Scope of application: lighting project for outdoor Street Lighting, such as municipal engineering, lighting project and electric power bureau, development zone, villa area, square, etc. 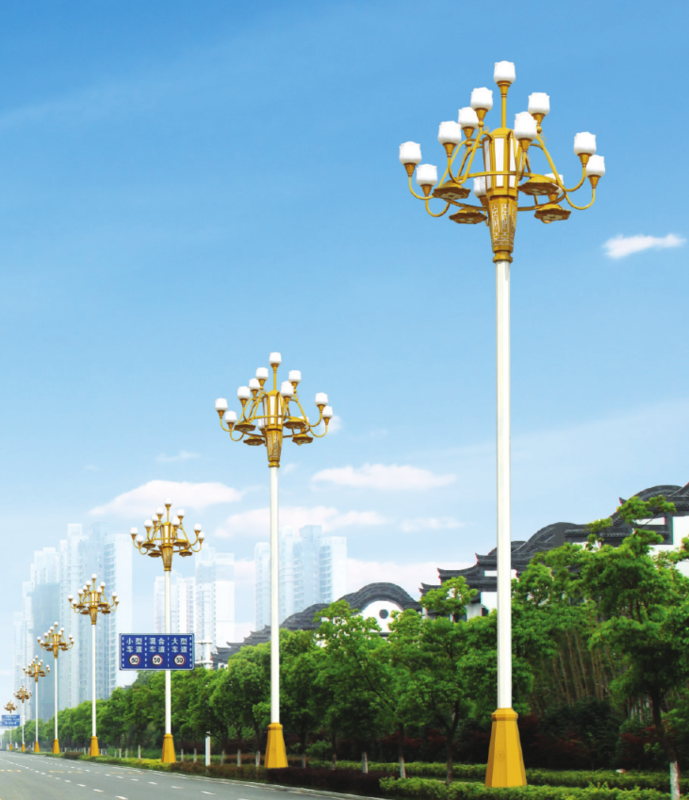 Looking for ideal Chinese Style Lamp Pole Manufacturer & supplier ? We have a wide selection at great prices to help you get creative. All the Special Chinese Style Lamp are quality guaranteed. We are China Origin Factory of Beautiful Chinese Style Lamp. If you have any question, please feel free to contact us.